Longtime Pacific Honda customers know that Honda is mostly in the business of fine-tuning its current batch of vehicles rather than constantly introducing loads of new ones every year, mostly because the models we currently sell have been so popular for so long with so many different types of customers. 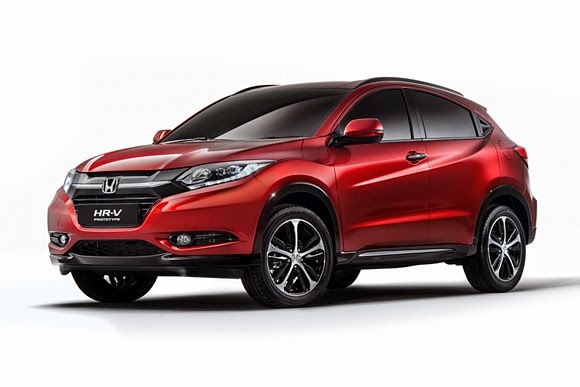 Despite that, the time does occasionally come for an automaker to expand its lineup, and that’s what Honda has planned with the new 2016 Honda HR-V crossover, due out sometime next year. If you noticed that the HR-V is pretty similar in name to the CR-V, we’ll tell you that it’s not a coincidence. Both will serve as the Honda crossover offering, with the newer HR-V coming in a little smaller than the CR-V, which to date is the best-selling SUV in America. Built on the same platform as the Honda Fit, the 2016 Honda CR-V shares a similar front-end design to the CR-V, while sporting a sheet metal design not unlike what’s found on the current Honda Accord. Under the hood will be a 1.8-liter four-cylinder engine capable of producing a respectable 138 hp and 127 lb-ft of torque, and a six-speed manual or continuously variable transmission will be available for pairing with that engine. While technically a crossover, the hope is that the HR-V will pave the way for something of a new segment. It’s definitely a small crossover, but it looks great and should be every bit as reliable as its older siblings. We’re looking forward to its imminent arrival here at your friendly neighborhood Honda dealership, and we certainly hope California drivers are, too!